Located at the southern eastern coast of the province of Batangas, lies the small and remote town of Laiya. Remote as it can be but the town has become known due to the exclusive beach resorts that opened up along its beach, as well as a jump off point for people wanting to dive into the rich corals reefs off the coast of Batangas. Batangas province, aside from its coffee, is known for its dive resorts most specially in the town of Anilao. To reach Laiya from Manila, one will have to drive south through the South Luzon Expressway (SLEx) all the way to the Southern Tagalog Arterial Road (STAR) Expressway and take the exit to Lipa City. From Lipa, one will need to pass through smaller roads that leads to Candelaria in the province of Quezon until reaching the San Juan-Laiya Road. So far, I have been to Laiya twice. First was with my wife’s family where we went for a swim in Laiya’s public beach which I’ll talk about on this blog and a year later on in our company team building in the Acuatico Resort on the other side of Laiya. Posted in Asia, Batangas, beach, Philippines. Tagged family oriented, Laiya Beach, San Juan, summer fun, sun, water activities. Over the weekend, our company NV Besix SA Philippines held our very first team building activity and it was held at Acuatico Resort in Laiya, San Juan at the southeast border of the Batangas province. We were all booked for an overnight stay in this posh beach resort with an exclusive beach front that faces the Tayabas Bay and a mountain range behind it. From Makati City, by our office building we all gathered early morning for the trip but ended leaving Makati at around 8:30am. We drove through South Luzon Expressway (SLEX) with a quick stop in Alabang to pick up 4 other guys who were waiting for us there before continuing our trip to the end of SLEX at the Sto. Tomas exit. We followed the highway until we entered the Southern Tagalog Arterial Road (STAR) Expressway and exited at Ibaan Exit. From there we took a long trip up to the town of San Juan and up to Laiya where the road ended. Posted in Asia, Batangas, beach, Philippines. Tagged Acuatico Resort, Besix, Laiya Beach, resort, team building. A serene spot on top of a hill with the beautiful view of fields and mountains. A place for soul searching. A piece of Spain in the Philippines. These may be some characteristic Caleruega may hold. Caleruega is a place for retreats and has become one of the preferred locations for weddings located in the town of Nasugbu in Batangas Province. It is about 15 minutes drive from the Tagaytay and about 2.5 hours south of Manila. 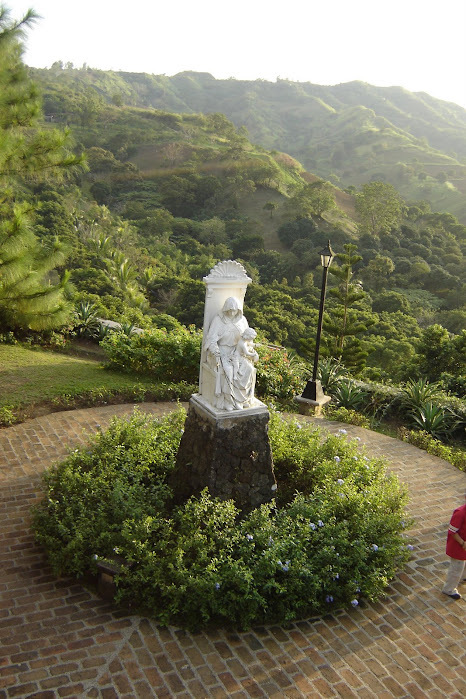 Caleruega was built and designed by the Dominican priests on a sloped hill in Nasugbu. The design was based from an actual town in the autonomous community of Castile-Leon in Spain, also called Caleruega. It features retreat facilities, function rooms, a mess hall, dormitory rooms, a camp site, and its main chapel at its top side. The facilities and walkways are built with bricks giving it a Spanish feel. Posted in Asia, Batangas, church, Philippines, Tagaytay. 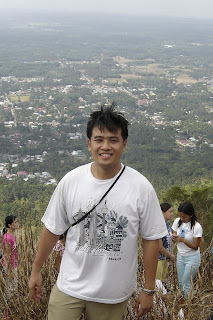 Tagged Batulao, beautiful churches, Caleruega, Catholic Church, Dominican, Nasugbu, retreat house, top wedding venue, Transfiguration Chapel, wedding venue.